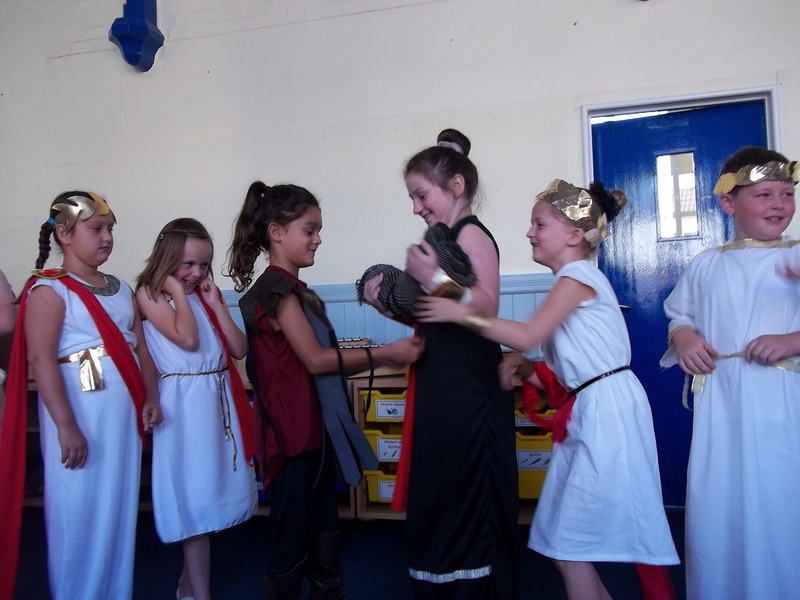 Year 3/4 had a fantastic Roman day! 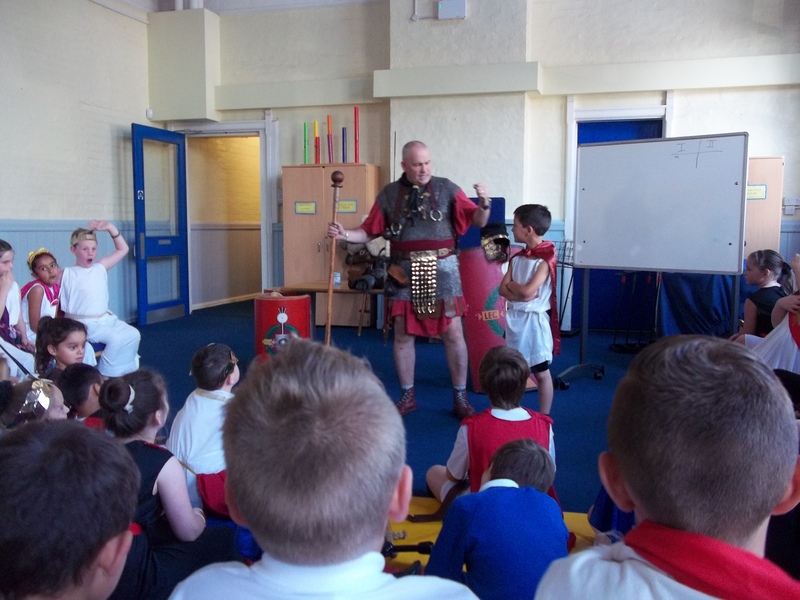 We were visited by two Roman soldiers who taught us all about their training and preparation for becoming a soldier- it sounded like a very tiring and demanding job. We looked at and held armour, weapons and some of us even tried the armour on- it was very heavy! 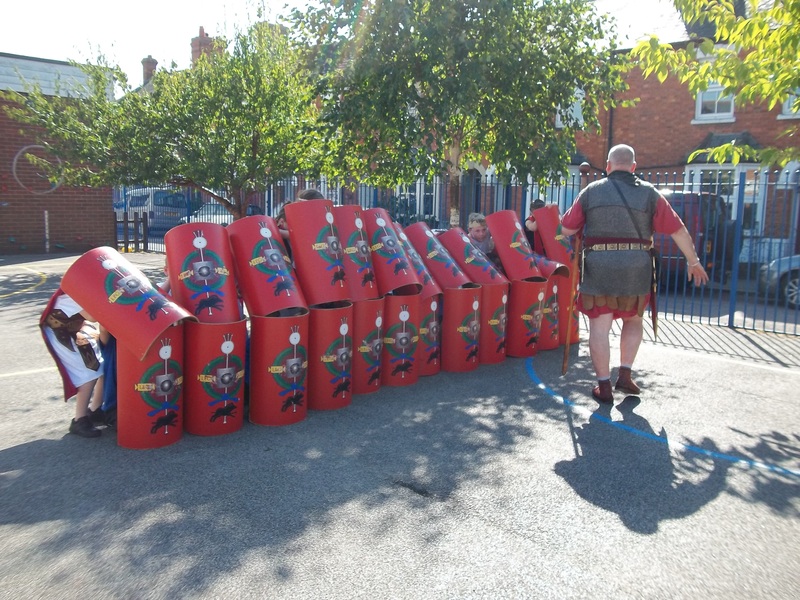 We also got to use shields and spears and create the tortoise formation- we could all get into position in 1.25 minutes! We also learnt about daily life during the Roman times and were introduced to Spongebob! (I am sure the children will tell you all about him).